We are lucky as we get to experience different parts of France through a website called Mind My House. Individuals look for others to mind their home and pets while they go away. In return, you get to visit a new area, save some money as you don't have to pay for a hotel and live like a local. This is the third time we have done a house sit, and we have been lucky every time. You can search for house sits all over the world. If you are not familiar with this site, you can check it out here. We recently spent some time near the Atlantic Coast of France in an area called Deux-Sèvres. This is another beautiful area of France dotted with charming villages. 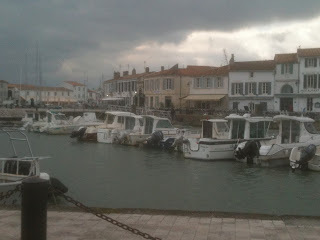 I got to visit a part of France I have been yearning to go to - La Rochelle and Île de Ré. While this time of year is not the best time to visit these beautiful places, it was still amazing. 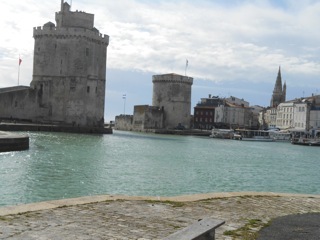 There are two towers guarding the entrance to La Rochelle's seafront and a third tower, which is just a short walk along the port was a jail that still has original grafitti from sailors on its walls. We climbed to the top of the third tower and were rewarded with a fabulous view of La Rochelle. The windy streets, the old port and the vibrant city life make this a must-see on anyone's list. They call Île de Ré the "Hamptons of France". I can see this must be a rockin' place during the summer where all the beautiful people hang out. Yet to me, it does not seem to be as pretentious as the Hamptons can be. 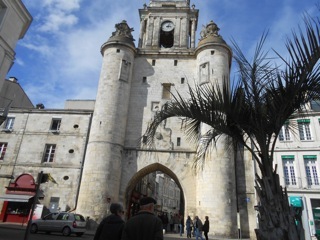 The island, which is connected via a 2.9 km bridge from La Rochelle is made up of 10 towns. 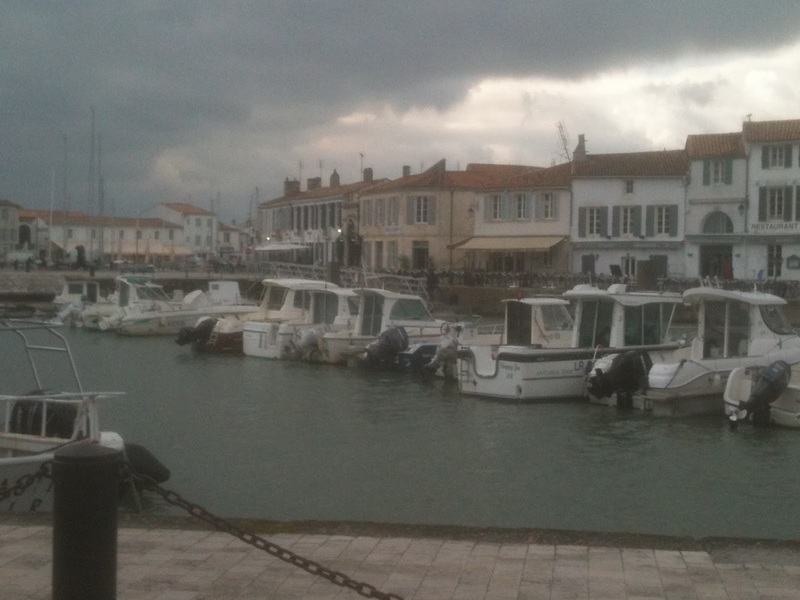 The more notable ones are La Flotte and Ars-en-Ré. 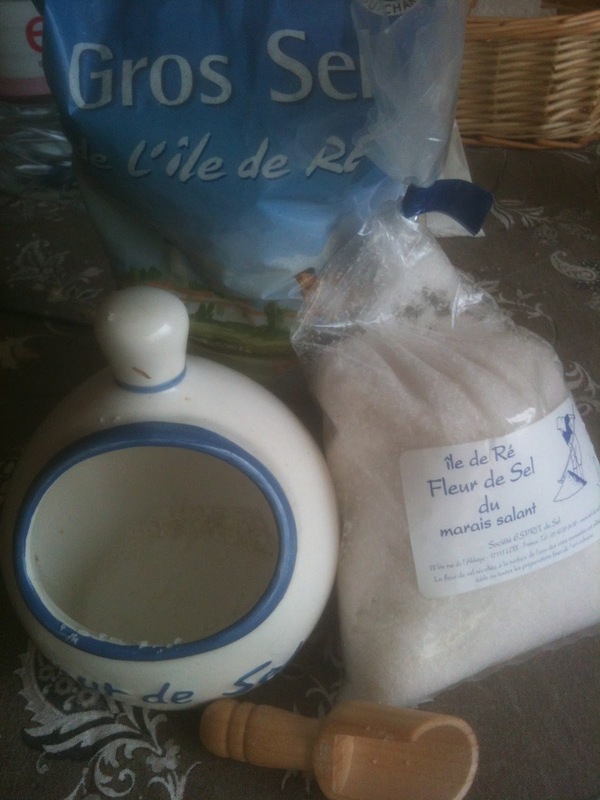 Îl de Ré of course is known for their salt and long ago, they used donkeys to help the workers in the salt ponds. 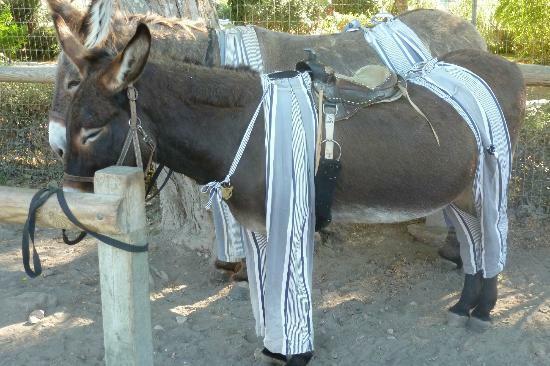 The donkeys wore suspender like pants to protect their legs from mosquitoes while in the ponds. Today, they just wear the pants for show. We saw the donkeys, but they were not dressed in their Sunday Best - apparently only for show during the summer months. You can find the donkeys in the town of Saint Martin-de-Ré. One can also rent bikes and discover the island this way. Bike paths are abundant all over the island. Donkeys in their striped pants. After, we headed over to Rochefort to hop a short ride on a Transpondeur Bridge or suspended car bridge that long ago carried people from one side to the other for shopping and to sell their wares. Today, it's used as an attraction. We had no luck as it was closed until April. 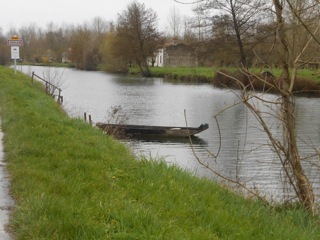 One other village of notable interest is a village called Coulon. This village is part of a network of canals and waterways that are ironically called the "Green Venice of France." The beautiful white farmhouses with blue shutters are typical of this area. During the summer months, one can take a leisurely boat ride down the canals. Can you imagine living here?? During the Spring and Summer months, this is a great area of France that offers so many beautiful towns and villages.